Third grader Ian Buchanan laughs as teachers and faculty break out dancing in a "flash mob" Friday during West Parish Elementary School's second annual MCAS test pep rally. 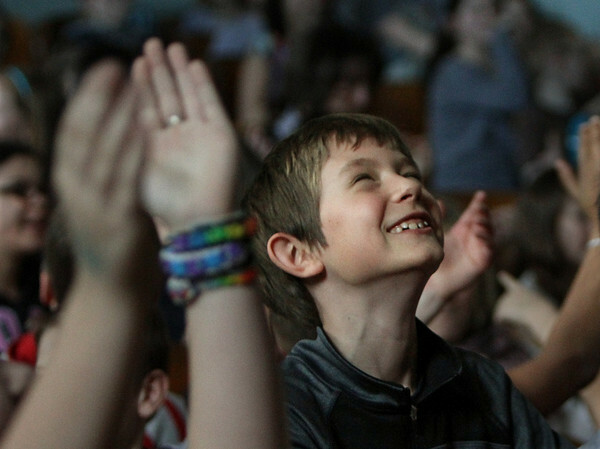 Students in the early grades read poems and performed skits with advice for third, fourth and fifth graders taking the MCAS (short for Massachusetts Comprehensive Assessment System) test. Teachers and other staff members surprised the students at the end by dancing to Pharrell Williams' hit song "Happy."